We've designed an incredible Hobbit Playhouse for schools which will inspire role play and create a fun place to create dens and imaginative worlds. This particular hobbit house has been named 'The Burrow'. 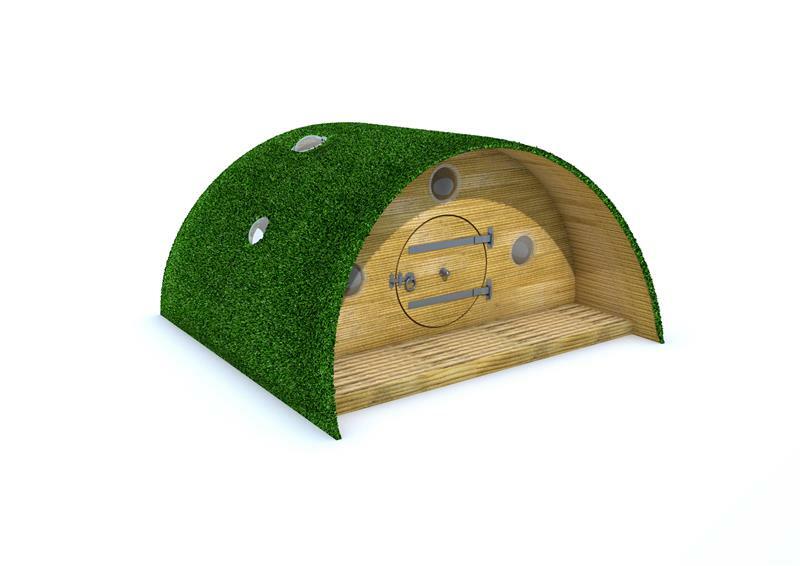 Our natural looking artificial grass forms the outer layer of the Hobbit Playhouse to help children make-believe that 'The Burrow' was actually built within the picturesque hills of 'The Shire'. The small round door is designed specifically for little hobbits, meaning children will have to crouch down to enter their new home. We installed fun bubble windows to allow daylight into the house and give it a unique look that will engage children. This product will become one of the children's favourite open-ended resources as they play pretend and re-enact different fairy tales and stories. The Burrow can also become a fantastic place for storytelling and quiet reading.